Bunge does not have full control of all the agricultural processes involved in the production of the inputs used to make foods and ingredients. For this reason, the promotion of sustainable agriculture is an attention point throughout its value chain, where impacts are important for company stakeholders. This is the reason why the company constantly strives to raise the awareness and train commercial partners, ensuring they respect the rights of their workers and do not harm the environment. Similarly, partners are expected to use natural resources rationally and to ensure that social and economic development drives benefits for local communities and for the country. By doing so, we reinforce our commitment to sustainable production and seek to secure the future supply of raw materials and foods. This is governed by rigorous quality standards for all suppliers and constant checks to ensure compliance. At the end of 2015, 100% of suppliers were compliant with Bunge procurement policy. The company’s supply chain is mainly based on the commercialization of agricultural commodities. Bunge originates (acquires) grains from production areas all over Brazil and delivers it to different consumer markets in the country and abroad. It also transforms raw materials into inputs for the animal feed and food industries, as well as for biodiesel production. Additionally, Bunge acquires palm oil from traders and is a primary producer of sugarcane and derivatives, such as sugar, ethanol and bioelectricity. Moreover, the company retail fertilizers to agricultural producers in the supply chain. We maintain direct relations with more than 8,500 suppliers on an annual basis. This involves co-responsibility for the adoption and maintenance of social, environmental and legal criteria that promote agricultural best practices. To this end, we act with rigor to ensure our suppliers are aligned with the rules of Brazil's new Forestry Code, for example. The company maintains systematic records for all its suppliers, and managers are informed of any incidents that might affect the company's standards. In 2015, the company maintained its controls related to the Soy Moratorium 1, the non-use of child and slave labor and the embargoes imposed by the Brazilian environmental agency Ibama, among others. Our goal is to establish close, transparent and long-lasting relations with agricultural producers who not only employ environmentally responsible agricultural practices, but also provide their employees and families with dignified working and living conditions. Farmers are expected to maintain facilities and a work environment conducive to the proper performance of their activities. In return for these requirements, Bunge offers its partners a robust logistics infrastructure which encompasses silos, plants, port terminals and commercial offices. All company efforts are directed at promoting sustainable relations, based on generating value for the company, for the producer and for the production regions with a view to driving continuous growth. Based on this viewpoint, it is our belief that because the current regulatory framework of the Brazilian Forestry Code is clearer, this will help sustain relations with the next generation of farmers. The company will value and encourage production in degraded areas and the use of technologies that boost production, in other words, that enable increased production without the need to clear new land for agriculture to meet growing global demand for food and energy. publicly disclose progress on our efforts. 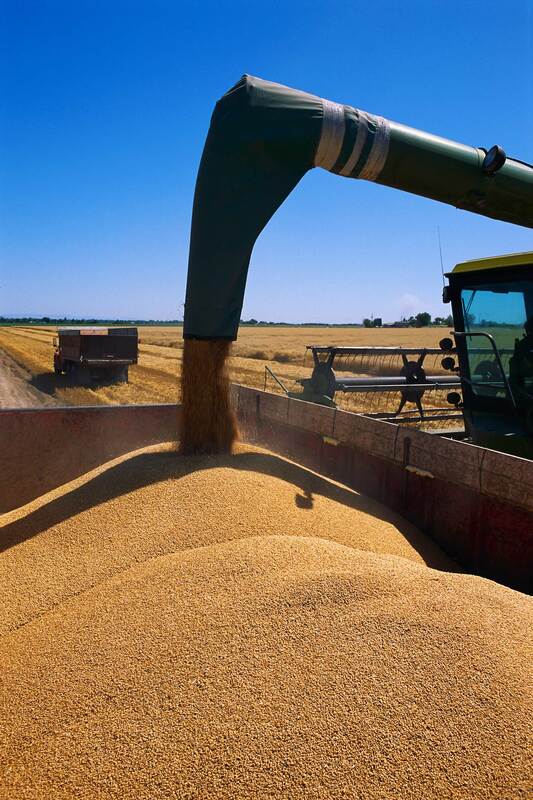 Grain suppliers are monitored by the Origination commercial area, which follows guidelines established jointly with the company's Sustainability and Environmental Legal teams. The commercial area is responsible for assessing and managing commodity supplies and maintains close relations with growers. In addition to applying a specific sustainability checklist for advance purchases, the area assesses guarantees for the contracted products; the quality and compliance of the grain; deadlines and delivery locations; compliance with environmental requirements and laws (areas embargoed by environmental authorities); and verifies that the supplier is not on the slave labor blacklist issued by the Brazilian Ministry of Labor. Non-compliance with environmental legislation governing legal reserve areas. Control over areas in which there is risk of forced or slave labor. The company maintained complete control over producers who did not respect the voluntary pledge for the eradication of slave labor. In 2015, only one new supplier was disqualified for being on the Ministry of Labor slave labor blacklist. Control over Ibama embargoes on products sourced from illegally deforested regions. During the year, 29 new producers were disqualified for being on the IBAMA blacklist. The total number of producers who continued to be disqualified was 195. Increase in tools to raise producer awareness on sustainable agriculture. Bunge supports the Soja Plus Program in partnership with Abiove and Aprosoja (MT), aimed at promoting awareness for sustainable agriculture in the main Cerrado production areas. In partnership with The Nature Conservancy - TNC, the company fosters sustainable practices in areas where agricultural production is expanding. Ban on origination of soy grown in areas deforested after July 2008 in the Amazon biome. A further 22 disqualifications of suppliers for non-compliance with the Soy Moratorium were imposed during the year. At the end of 2015, 69 producers remained blacklisted, which demonstrates that the supply chain is aligned with company requirements, even though grain may reach the market through companies not participating in the industry agreement. In 2015, Bunge implemented the procurement criteria in the Pará Protocol which requires that all purchases in the state must be invoiced and all producers must have CAR (rural environmental registry) and must not be listed state and federal embargos list and the Ministry of Labor slave labor blacklist. The Sugar & Bioenergy business uses raw material grown in areas contracted in the form of agricultural partnership and in third-party areas. This is assessed in terms of quality, in particular the product's total recoverable sugar content. Supply contracts are long-term and involve the same assessment used in grain origination; however, special attention is paid to working conditions, since Bunge is a signatory to Brazil's National Commitment for Sugarcane Working Conditions, in addition to having its own sourcing policy. In all biomass purchases, Bunge applies a checklist encompassing environmental, labor, logistics and tax requirements, specific documentation per plant and per product, and compliance with federal and state legislation. Suppliers must present the requested documentation prior to signature of any contract and whenever a contract is modified. It is mandatory to present a proof of compliance with Ibama, verification of the Ministry of Labor slave labor blacklist, proof of cutting permit, fruit tree cutting notification, cutting permit exemption, operating licenses, environmental licenses and state forestry registration, according to the specific legislation for the acquired material and State of origin. If the supplier fails to comply with any of these conditions, negotiations are suspended and the corporate Biomass and Legal areas are requested to assess the risks involved and grant authorization to resume business. For approved purchases, the process continues. Upon receipt of raw material, the company's Productivity, Quality, Safety and Environment (PQSE) team conducts a risk assessment in line with biomass acquisition environmental criteria. There is, therefore, a first checklist to approve or not the purchase, followed by a second to assess whether there are any other kinds of risk associated with the supplier. This exempts Bunge from liability in the event that the supplier is fined or embargoed. Should the company identify any sizable environmental, social or economic risk to Bunge, an action plan is proposed to help the supplier to remediate any non-conformance. In 2015, biomass was purchased from 158 suppliers, all of whom were assessed based on the company's risk management criteria. Need to vary energy matrix sources to ensure the exclusion of a product or a supplier does not jeopardize plant operations. 1 A pledge established in June 2006 among organizations representing soy producers and exporters, environmental NGOs and the government for the adoption of measures against deforestation in the Amazon region. The initiative, involving the Brazilian vegetable oil industry association Abiove and the Brazilian cereal exporters association Anec, obliges its members not to commercialize soy from areas in the Amazon biome deforested after July 2008.